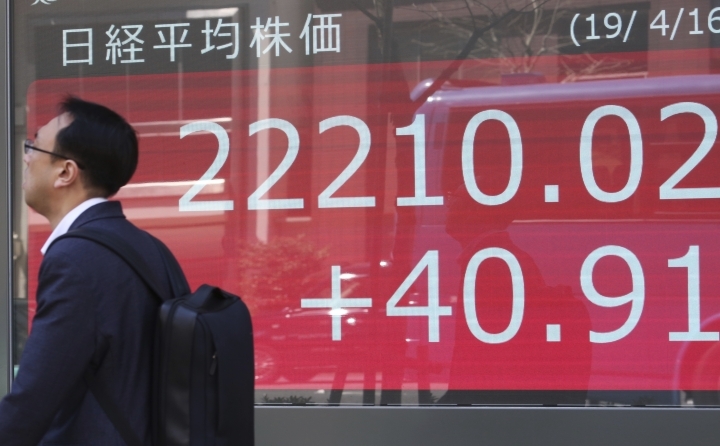 TOKYO — World stock markets advanced Tuesday on upbeat economic data for China and Germany and as investors keep an eye on U.S. corporate earnings reports, which have been mixed so far. Germany's DAX rose 0.6% to 12,097 after a measure of investor confidence, the ZEW index, rose for a sixth month. The CAC 40 in France was flat at 5,507 and Britain's FTSE 100 climbed 0.4% to 7,465. Wall Street looked set for gains, with the future contract for the Dow up 0.3% and that for the S&P 500 advancing 0.2%. In Asia, the Shanghai Composite index jumped 2.4% to 3,253.60 and the Hang Seng index in Hong Kong surged 1.1% to 30,129.87. 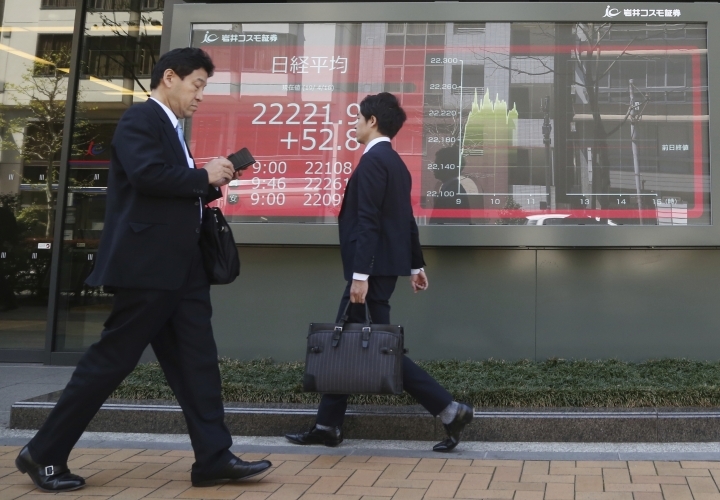 The Nikkei 225 index added 0.2% to 22,221.66. 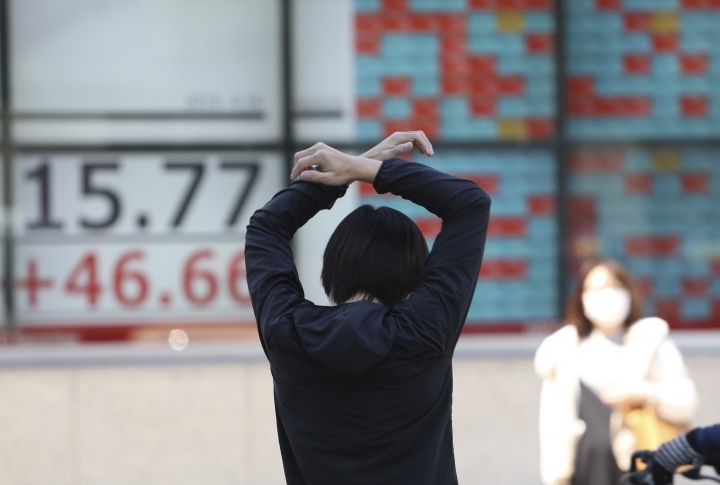 South Korea's Kospi gained 0.2% to 2,246.63 and the S&P/ASX 200 in Australia gained 0.4% to 6,277.40. India's Sensex advanced 1% to 39,281.69. Shares also rose in Taiwan and Southeast Asia. News that China's house prices rose in March raised hopes that a slowdown in the all-important property sector may be abating. Home prices in 70 major cities rose on average, the government reported. Optimism over prospects for resolving trade conflicts between the U.S. and China has grown, meanwhile. Larry Kudlow, director of the president's National Economic Council, told reporters negotiations over complaints that China has predatory technology policies were going "very well" and making good progress. "The air of optimism remains thick as improving risk sentiment on the back of U.S.-China trade talks has Asia markets accelerating higher today led by substantial gains on the Shanghai Composite Index," Stephen Innes of SPI Asset Management said in a commentary. Corporate earnings remain in focus after major banks JPMorgan Chase and Goldman Sachs reported a drop in trading revenue. On Tuesday, UnitedHealth Group reported strong first-quarter numbers and investment firm BlackRock also beat expectations. ENERGY: Benchmark U.S. crude oil fell 9 cents to $63.31 per barrel. It fell 49 cents to settle at $63.40 on Monday. Brent crude, the international standard, rose 6 cents to $71.24. Both remain up more than 30% for the year. 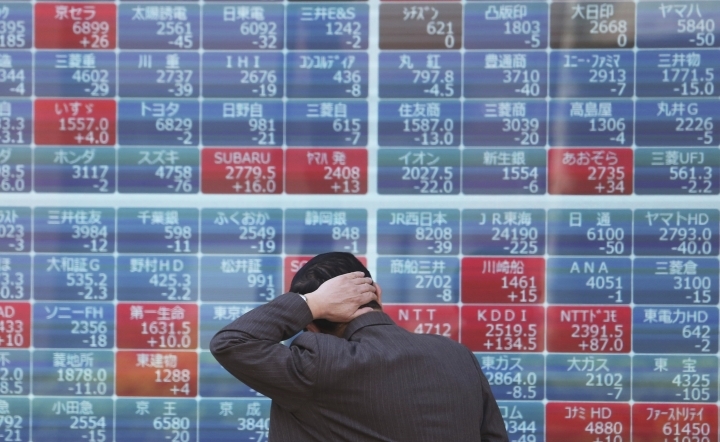 CURRENCIES: The dollar slipped to 111.90 Japanese yen from 112.01 yen. The euro dipped to $1.1300 from $1.1307. The British pound slipped to $1.3085 from $1.3105.